Justin Timberlake isn’t the only party calling dibs on the hours after sundown. Nike Tennis has created a series of reflective gear designed to dominate the night games at the U.S. Open in New York over the next two weeks. 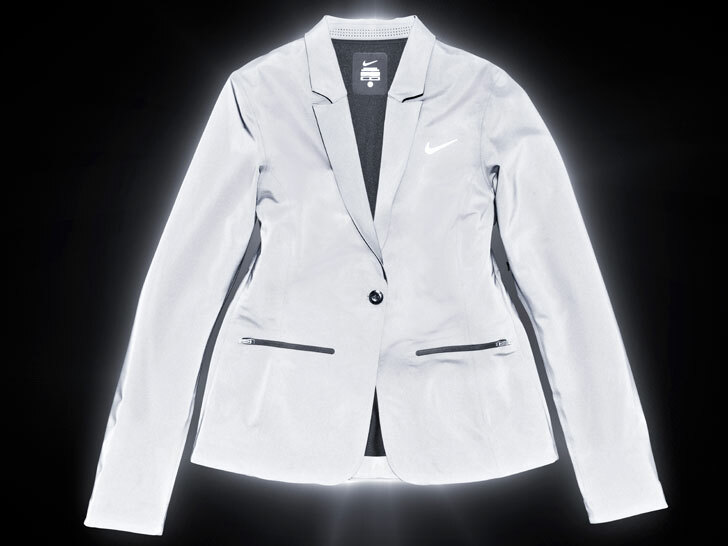 Comprising jackets and footwear, “Claim Back the Night” utilizes the sportswear giant’s “Vapor Flash” fabric, which features a reflective, laminated face of tiny glass beads that provide 400-candlepower reflectivity even in low light. Just one catch: The limited-edition collection is only available at select Big Apple locations, including Niketown New York, 21 Mercer, Masons Tennis, and the Nike store at the Billie Jean King National Tennis Center. Justin Timberlake isn't the only party calling dibs on the hours after sundown. Nike Tennis has created a series of reflective gear designed to dominate the night games at the U.S. Open in New York over the next two weeks. Comprising jackets and footwear, "Claim Back the Night" utilizes the sportswear giant's "Vapor Flash" fabric, which features a reflective, laminated face of tiny glass beads that provide 400-candlepower reflectivity even in low light. Just one catch: The limited-edition collection is only available at select Big Apple locations, including Niketown New York, 21 Mercer, Masons Tennis, and the Nike store at the Billie Jean King National Tennis Center.